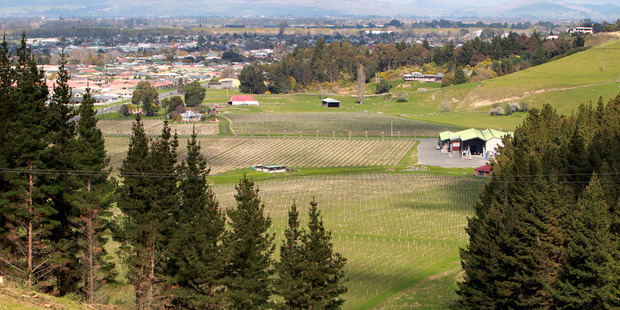 Forestry, wine and pipfruit are the latest sectors to have overseas investment in Hawke's Bay. A flurry of Overseas Investment Office (OIO) decisions for Hawke's Bay is no coincidence, says Infometrics senior economist Benje Patterson. The OIO summary of December decisions lists investments in pipfruit, wine and forestry. "Over the past 18 months or so Hawke's Bay has begun quite an upturn in growth, and that growth is widespread across a number of indicators we follow," he said. "When economies are doing better that ultimately attracts investment, particularly if people believe that upturn can be sustained. "He said with the prospect for pipfruit continuing to perform well in emerging economies "it is understandable people are investing in productive orchards." He said local expansion funding would be "nice in a perfect world" and regional investment was very important for New Zealand as a whole. Overseas investment also brought greater growth potential for all local businesses. It brought expertise "and can hook an area into international markets". He said even if there was locally-held capital for investment it would be wise for Hawke's Bay to spread its investments in case the region faced a downturn. "It is not always wise to invest every single cent in your local economy." Craggy Range Vineyards director David Peabody's company Chamois has been given OIO clearance to acquire 49.7 per cent of Craggy Range for $126 million. Craggy Range is 99 per cent owned by the Peabody family and the decision summary states the underlying objective of the transaction was an internal family restructure designed "to pursue some significant development plans" after the sale of the share to Chamois. Craggy owns vineyards in Hawke's Bay and Marlborough and is based in Hawke's Bay. Craggy Range chief executive Michael Wilding reiterated to Hawke's Bay Today the family nature of the transaction but said Craggy Range needed to expand to meet export demand, especially from Australia, the US and UK. The OIO granted Austrian Veronika Leeb-Goess-Saura permission to purchase a 381 ha Tutira farm for $2.2 million, with the purpose of the purchase to convert the farm into a forest. Forestry consultant Roger Dickey Ltd is the project adviser. The owners of the Ridgemount Rd farm are listed as Roger Sinclair, Ross Williams, Jeanette and Neil McMillan. Five of the Hawke's Bay OIO consents granted are for a leasehold interest in land by Apollo Apples, a subsidiary of T&G Global. T&G, formerly Turners and Growers, includes Enza in its holdings. The OIO lists T&G's shareholders as 74 per cent from Germany and 20 per cent from China. The OIO applications say Apollo wishes to acquire leased land to develop orchards in Pakowhai, Clive, Haumoana, Meeanee and Puketapu. T&G chief strategy officer Tim Clarkson told Hawke's Bay Today it leased a number of orchards across Hawke's Bay and "from time to time" acquired new land to fulfil growing domestic and international demand. For the six months to the end of June NZX-listed T&G reported a 14 per cent increase in revenue to $423.0 million, up from $371.2 million for the same period in 2015. Net profit after tax for the first six months of last year was $22.7 million compared with $12 million for the same period in 2015.
Business Hawke's Bay chief executive Susan White said New Zealand was an overseas investor-friendly country. "Compared to other options available to overseas investors, NZ is politically stable, is business-friendly, has infrastructure, a skilled workforce, and is receptive to doing business internationally," she said. "Hawke's Bay will typically feature for the types of opportunities that align with our regional comparative advantages, which include primary sector and high value Food and beverage processing. This is not coincidence, it's part of a sustained New Zealand strategy to be open and attractive to investment." She said "sticky investment" was ideal: businesses for which Hawke's Bay provided an advantage, were deeply entrenched and invested in innovation and staff.